A generator caught fire on the fifth floor of the RJT Edifice Building in Road Town this morning. 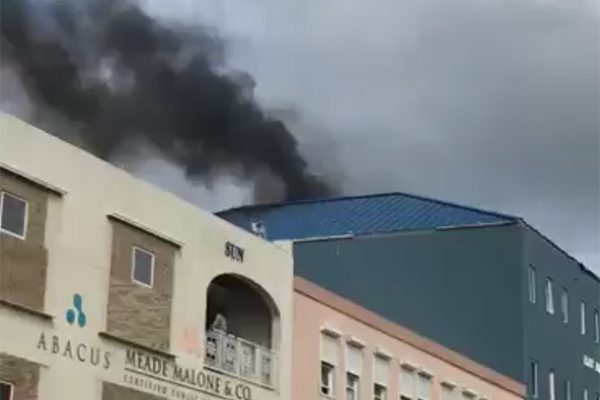 Authorities have launched a probe into the incident in which a large generator caught fire on the RJT Edifice Building in Road Town this morning. According to Chief Fire Officer Zebalon McLean, today’s incident was the latest of a number of generator fires in the British Virgin Islands. “It is not the first time that we have had generator fires in recent times. 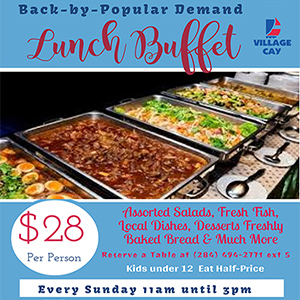 It was the first time that we were actually called to one because this one was quite a large generator,” McLean told BVI News. “There have been fires with some of the smaller generators but nothing that we were called for. Fortunately, the officers responded and they were able to put it out before it damaged the building,” he added. Meanwhile, the fire happened on the fifth floor of the RJT Edifice Building. McLean said the fire started when the generator in question was being powered on. He also said the building already had been evacuated when fire officers responded at the scene. They used fire extinguishers to put out the blaze, McLean said. The Chief Fire Officer also used the opportunity to call on residents to exercise greater vigilance when utilising generators. “We advise the public to never refuel the generator when it is hot. Make sure you store the fuel in a cool place. Don’t run the generators indoors. Run it away from the building so that the fumes can’t affect anyone, and always be very, very careful about the lines you use. Don’t use lines or wires that are bent or frayed or cut,” he warned.